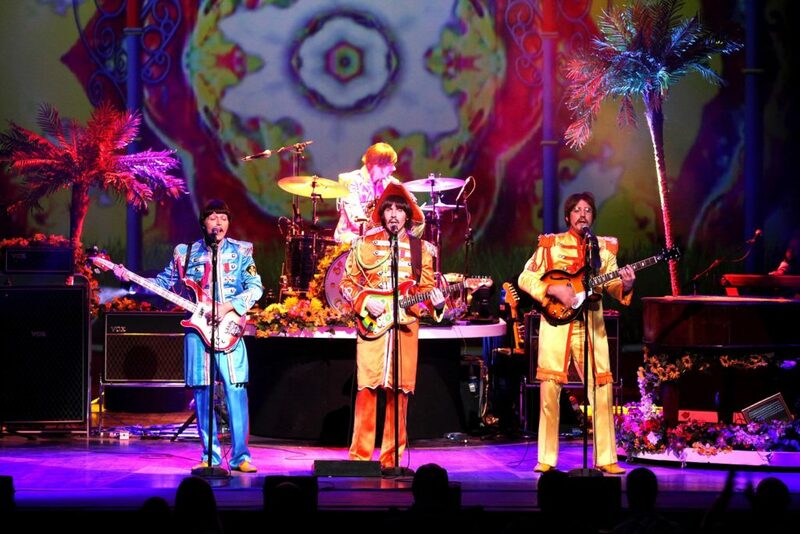 The legendary Beatles sound is something celebrated worldwide and the UK touring production of Let It Be certainly aims to honour one of Liverpool’s greatest exports. Unfortunately this show doesn’t quite hit the mark, although it is still a great night out for devoted followers and passing fans alike. After a ten minute technical delay we got started. These things happen and I usually wouldn’t mention it but unfortunately it wasn’t the last glitch of night. The cast were often unlit even while they were singing, the smoke was lit which completely obscured the pictures on the back wall and I was shocked to see an arrow of a computer mouse hovering about on the front cloth projections (to name but a few)! These are pretty glaring errors in design and execution in my opinion. I was gutted for the cast, singing their hearts out all night while being utterly let down by the technical team. The cast were by far the saving grace of this show. A fabulous tribute to the band themselves, bringing their hits to life through the music. All four were extremely talented, while also embodying the band member they were portraying, but Iain Hornal as Paul McCartney stood out for me – a confident lead vocalist with a stunning voice. The acoustic section, particularlyHere Comes the Sun, highlighted the diverse talent these performers have, hopping seamlessly between the stripped back guitar numbers and the upbeat sixties rock. Having not seen the show in the West End I didn’t know what to expect, but I was hoping for some kind of story which I didn’t get. The show does follow through the years of their path to fame but is unsuccessful in creating interest or flow. The ‘scene changes’ (and costume/wig changes for the singers) are clunky, poorly covered with clips from the era and some commentary. It’s a nice idea that just doesn’t work. The audience start muttering distractedly and the atmosphere created by the last showstopping song drops almost instantly. The atmosphere returns though, and it was definitely fun. You can’t help but get into the show when the music is that good. They include the greatest hits you expect to hear and encourage a good singalong which even the most reserved theatregoers can’t ignore. The show aims to set itself apart from other tribute acts, and it does, but it is essentially just that – a glorified tribute act. We had a great time singing and dancing along but it wasn’t the big production I hoped it would be. A must for fans who want the best Beatles homage around but not for those wanting a bit more theatrical substance. 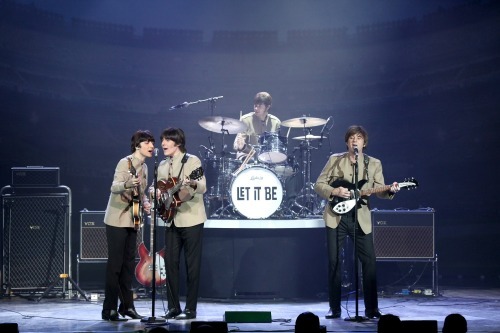 Let It Be shows at the Churchill Theatre, Bromley until Saturday 30th January before touring the UK. Tickets are available online.